Thursday Jan24th VSC Meeting! Make Plans Now! 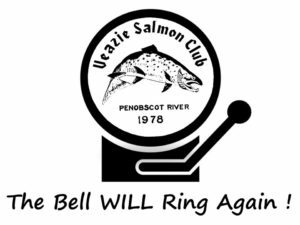 This Thursday January 24th is the first Veazie Salmon Club Meeting of 2019! In addition to members we are also inviting non-members interested in the Club to join us. Plan on some social time and a bite to eat together from 5:30- 6:30. If we can get your RSVP it sure helps with food prep and no matter $5 a plate max! What a deal! 6:30 to 7:00 we will be having the Club meeting to discuss necessary 2019 work around the Club. This will range from listing facility maintenance & repairs to outreach and communication activities, and also include a discussion about desired renovations. Everyone’s input is valuable and we desperately need more member participation to support work at the Club along with upcoming outdoor shows! At 7:00PM there will be an interesting presentation by a local fish biologist who lives in Hampden on the Penobscot River and gets to interact with UMaine graduate students. He will present work conducted by University of Maine graduate students to understand fish migration in our changing Penobscot River. He will try to focus on some of the methods in the toolbox of fish biologists including telemetry, electrofishing, DIDSON, even good old fashioned models and the importance of “sound science”. Lot’s of good pictures, and some science too! We hope you can make this meeting and if possible RSVP as soon as possible. We have a great year ahead, so get to the Veazie Salmon Club and make it part of your plan!